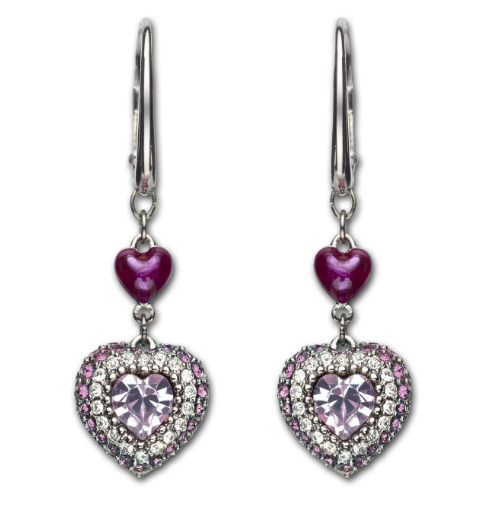 If you like your Valentine’s hearts subtler, consider these pretty rhinestone earrings for pierced ears by Swarovski. The earrings use a mix of clear, pink and purple stones, with a tiny pink heart set above the main component on each. These are currently on sale on the UK site, at GBP 32.50 from GBP 65.